The state of Qatar was the target of deliberate attacks accusing it of financing jihadist groups. To verify these accusations, we need to delve into its near history. Qatar is a small country with a population of approximately 2.2 million people. It is blessed with huge amounts of natural gas reserves which has helped it advance its profile globally. 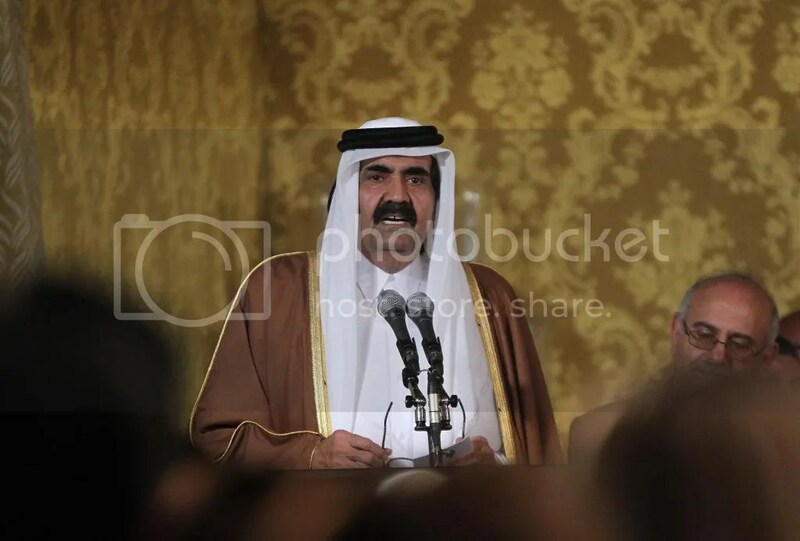 The advancement of Qatar’s policies came from its Emir Sheikh Hamad Bin Khalifa Al Thani, who pictured a country that is independent in its policies and advances peace in a turbulent region. Qatar has presented itself as a trusted peace mediator in conflicts ranging from Sudan’s Darfur civil war to militia politics in Lebanon. Qatar is accused by governments, think tanks and news outlets around the world of funding radical Islamist groups in Syria, and also of allowing terrorist funding on its shores. The accusations of funding terrorist organizations are false because Qatar has a well-acknowledged role for supporting peace and peaceful Islamist groups in the region, and any support for violent radical groups would harm its intelligently-built reputation that it has worked hard to maintain. Qatar has established itself as a successful and trusted conflict mediator. When the Arab Spring revolutions erupted in 2011, the country saw an opening for increased influence in the region and believed that these revolutions would bring about positive change. Qatar’s role in the Arab Spring was most apparent in the Syrian Revolution. When the Syrian people protested Bashar Al Assad’s rule and were received by an unrestrained violent crackdown, they resorted to arms to protect themselves. Qatar, along with Turkey and Saudi Arabia, was among the first countries to help the Syrian people defend themselves from the regime’s terror. Throughout the first phases of the revolution, the Free Syrian Army made considerable gains and had significant successes, to the extent that everyone believed that Assad would be toppled sooner rather than later. Global legitimacy of his regime quickly began to wane, as evidenced by President Obama’s call for him to step down. Despite this, the Syrian regime proved to be resilient thanks to generous help from Iran, who provided them with men and arms. When the Free Syrian Army was unable to defend the Syrian people, Al Qaeda established its branch in Syria – Jabhat Al-Nusra (remnants of Al Qaeda in Iraq also moved there). The Nusra Front flourished because the people perceived them to be better defenders of society, compared to other moderate groups, against Assad’s aggression. Some have accused Qatar of funding Al-Nusra. However, Qatar only funded the Syrian Coalition. Qatar cannot be blamed for the emergence of The Nusra Front in Syria because the aforementioned group has its own funding process from military gains. Qatar was made a scapegoat for the prevalence of Islamist groups over secular groups fighting the Assad regime, as evidenced by the article written by Israel’s Ambassador to the United Nations in The New York Times. The dominance of radical Islamist groups in Syria coincided with a backlash against Islamists overall in the region, beginning with the fall of Mohammed Morsi—the first elected president in Egypt’s modern history. Qatar supported two different governments after the toppling of Hosni Mubarak—both the transitional military government and Morsi’s government. This was done through government grants and billions of dollars’ worth of investment. Although Qatar tried to influence different actors in various countries in the region, it does not make sense for Qatar to have fund extremists because this contradicts the country’s political ideology. On the contrary, Qatar is liberal in its actions domestically (through hosting American universities) and internationally (by supporting a variety of international initiatives to fight terrorism). To understand why Qatar was specifically targeted in the media for terror links, it is important to recognize the country’s official stance on such issues. Qatar believes that Islamist groups like the Muslim Brotherhood, which do not resort to violence and believe in democratic institutions, are not terrorist organizations. The Qatari Emir said in a CNN interview that he disagrees with the notion that all Islamist groups are extremists; looking at all Islamist groups as being terrorist will only help radical groups in attracting new recruits because Muslims will feel threatened by the notion that Western powers are attacking their religion. In fact, radical groups such as ISIS use the aforementioned notion as a tool for recruitment. Qatar supports Islamist groups who share universal, political values such as nation-statehood and belief in democracy. It must be mentioned that the Muslim Brotherhood, in all its branches, believes in these values whereas, other groups such as Al Qaeda and the Taliban do not. It is important to understand that Qatar has different standards in assessing whether Islamist organizations are terrorist or not. The country refuses to taint all Islamists as terrorists because these groups have a strong presence in Arab communities, demonstrated by their huge wins in elections in post-Arab Spring elections. Also, labelling all Islamist groups as terrorist organizations would lead to more violence because these groups will feel marginalized and resort to violence as a result. Qatar would be risking its international reputation as a peace broker and mediator in the international arena if it finances ISIS and other radical groups. Therefore, I do not believe that Qatar funded radical groups such as ISIS or The Nusra Front. Moreover, the country was firm in explaining its opposition to tainting all Islamists as extremists. Qatar believes that terrorism in Syria is caused by the extremism and genocidal nature of the Assad regime itself. In politics, countries weigh their decisions through cost and benefit analysis, and where the cost outweighs the benefit incurred by the country, the country in question will not pursue that particular strategy. Thus, terrorist groups could not have been funded by Qatar because funding these groups is a project that is too politically costly for Qatar to pursue.